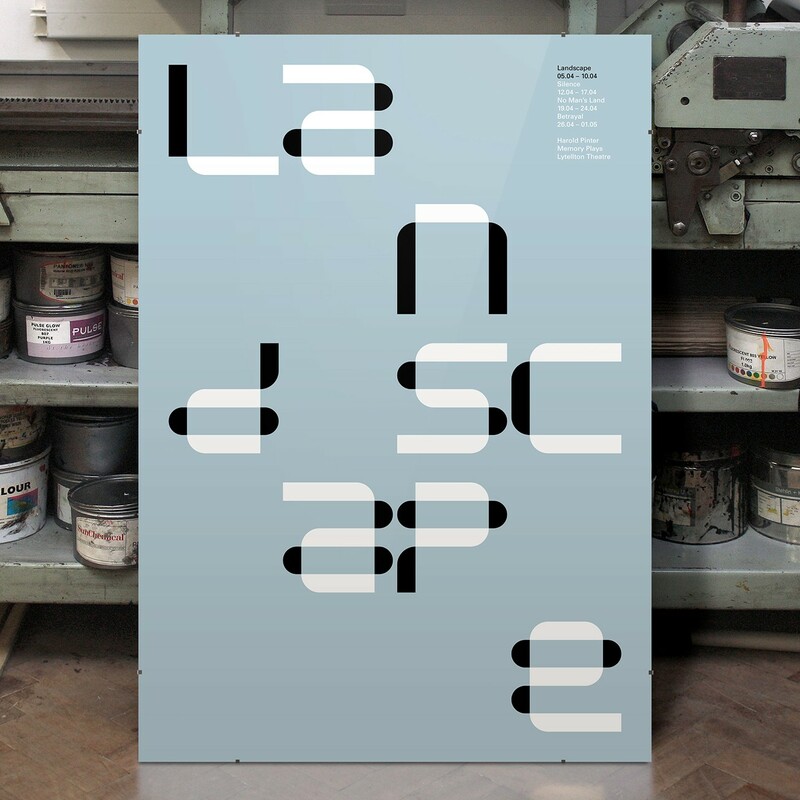 Bisect is a monospaced geometric type system produced by MuirMcNeil in collaboration with Natasha Lucas, a graphic designer interested in typography, editorial design and visual identity systems. Lucas began working on the design for the typeface when studying at the London College of Communication, as a part of a larger project where her intention was to create a coherent visual system to promote a series of theatrical pieces by Harold Pinter that are known as his ‘memory plays’. Working across print and digital media, Lucas decided to develop the Bisect type system in order to express the progressive fragmentation of language as it is eroded by the selective, faulty nature of memory. Using the same grid system for constructing letterforms, setting text and formatting documents, the system is governed by a playful exchange between horizontal and vertical character segments. Bisect has been cut in three versions designed to register precisely with one another in layers, offering a range of visual possibilities. It is available in the Latin 1 standard character set in Opentype encoding for Macintosh.